Are you planning to buy a tablet? But don’t know which one is best for you? If your answer is yes, don’t worry Tashiara is here to help you. Today, we got a chance to review the Asus ZenPad 7.0 (Z370CG) with the audio cover and here are our personal observations. In the past, Asus ZenPads have not really good in terms of looks, but this time Asus ZenPad 7.0 (Z370CG) improves a lot on the design aspect. This tablet comes in 2 covers: One is the audio cover and the other is a regular textured plastic cover. The audio cover of Asus ZenPad 7.0 (Z370CG) needs to be bought separately. In order to attach the audio cover, you will need to remove the original cover which comes with the tablet. Be careful while changing the cover, as there are a lot of areas that need to be properly locked. The faux leather audio cover increases the overall thickness of Asus ZenPad 7.0 (Z370CG) and gives a much elegant look. The Asus ZenPad 7.0 (Z370CG) has rounded edges, with the volume rocker buttons and power standby buttons on the right hand side. Also, it has charging port & microUSB data transfer on the base and 3.5mm audio jack on the top. 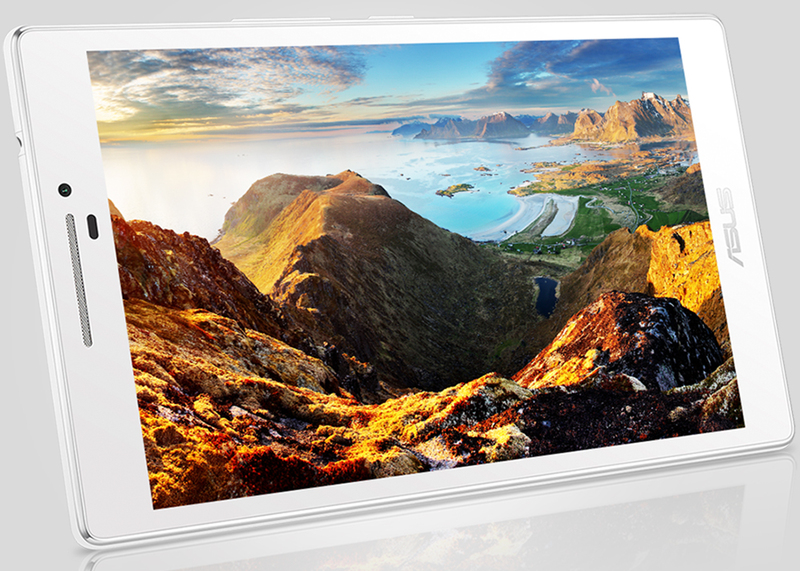 The tablet has 7.00-inch display with thin bezels on the side. The Asus ZenPad 7.0 (Z370CG) features a 7.00-inch (1280 pixels by 800 pixels) HD display with Corning Gorilla Glass for utmost protection. It is powered by the quad-core Intel Atom x3-C3230 processor coupled with a 2GB RAM. It comes with 16GB internal storage that's expandable up to 128GB via microSD card. 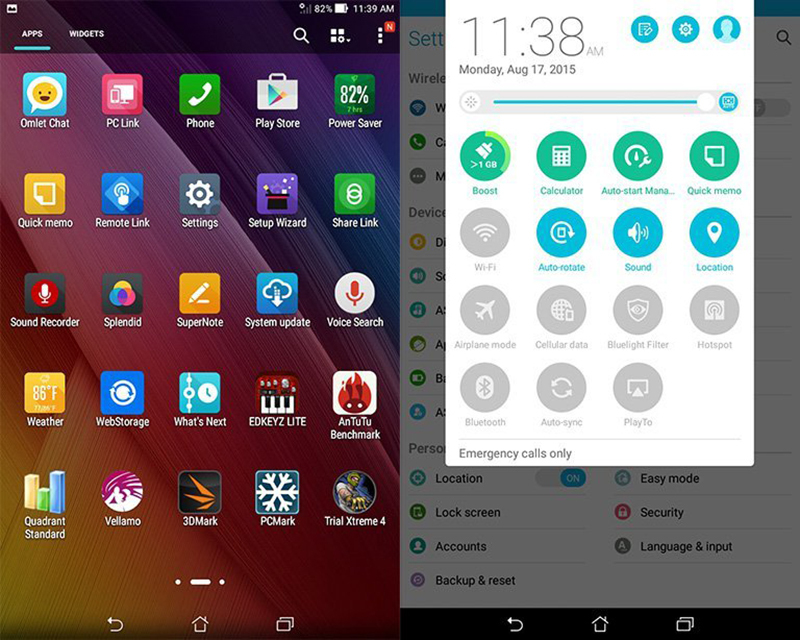 Considering this is as a compact mobile device, the Android 5.0.2 Lollipop OS has the ZenUI skin atop it. On the connectivity front, you have a Wi-fi 802.11n, Bluetooth 4.0, 3G micro SIM card slot, GPS with A-GPS, GLONASS and powers all the above with a powerful 3450 mAh battery. There are some useful pre-loaded apps such as Clean Master, Photo Collage, Trip Advisor, Kids Mode and Power Saver. But there are some apps like Omlet Chat which we doubt anyone uses in India. Thankfully, ZenUI lets you disable/uninstall such apps which is really a big relief as it clears a lot of space on your internal storage. 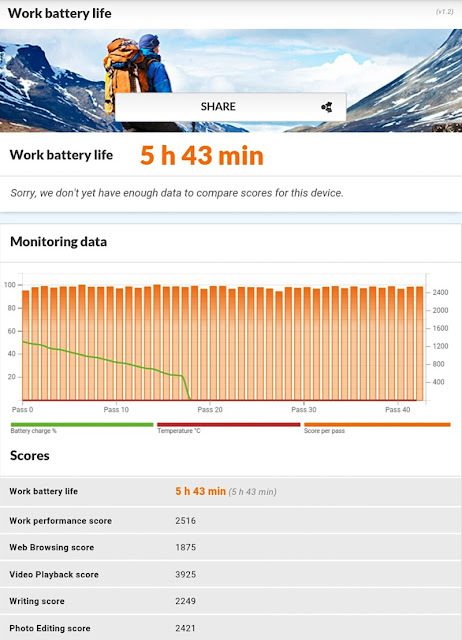 The Asus ZenPad 7.0 (Z370C) houses a powerful 3450 mAh battery. Although, this is not a huge number if we consider the smartphones these days with higher battery capacities. You will get an on-screen time of around 5 hours 43 minutes with the audio cover attached to it. We have also tested the audio coming out of the audio cover which is very loud and there is no distortion at high volume levels. The audio cover allows you to enjoy a movie without using earphones. 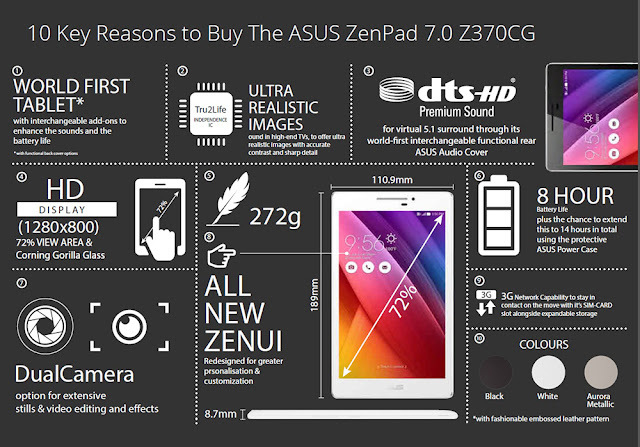 In terms of gaming, the Asus ZenPad 7.0 (Z370C) is good enough for casual games. With heavy games there is severe frame-dropping that is quite noticeable. Also, there is a noticeable lag whenever you go to the home screen from any app. As far as the camera is concerned, Asus ZenPad 7.0 (Z370C) packs an 8MP primary camera on the rear side and 2MP front-facing camera for selfies. The Asus ZenPad 7.0 (Z370CG) camera quality is quite mediocre in low light, however in daylight you get pictures that can be shared on social networks, but images lack sharpness. It offers a lot of features such as modes including GIF Animation, Depth of Field, Smart remove and so on. 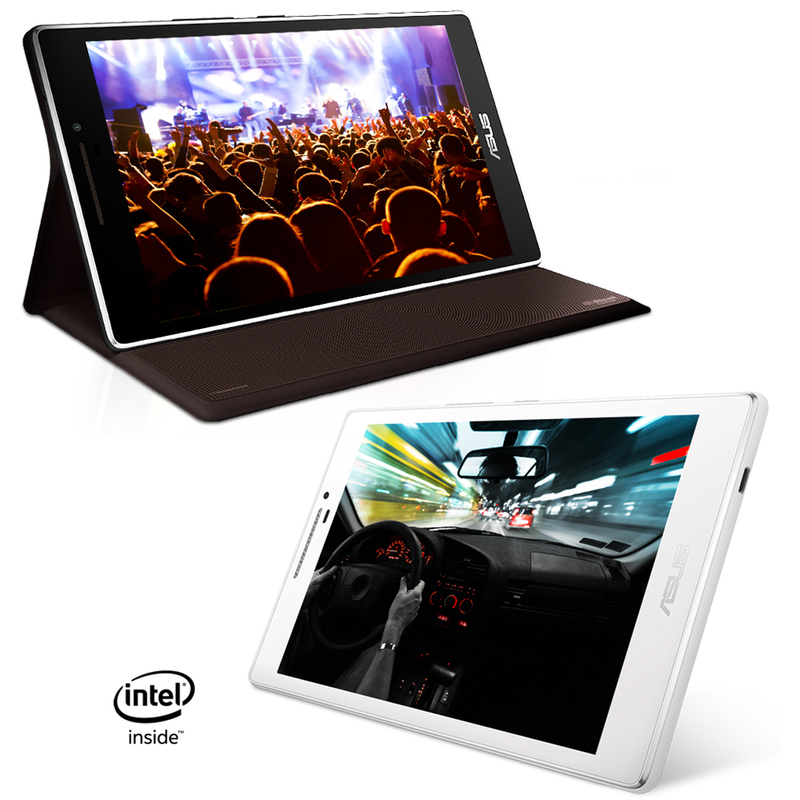 The video camera of ZenPad 7.0 can shoot HD videos. Front camera is also good for video calling. 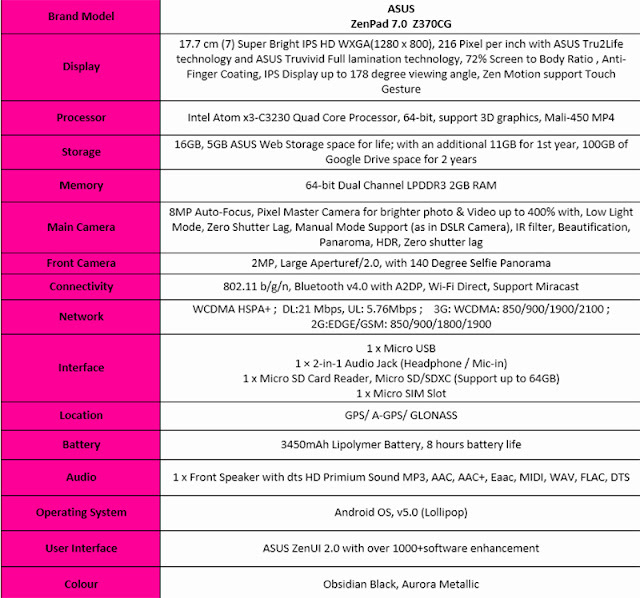 The Taiwanese company priced its tablet starting at Rs. 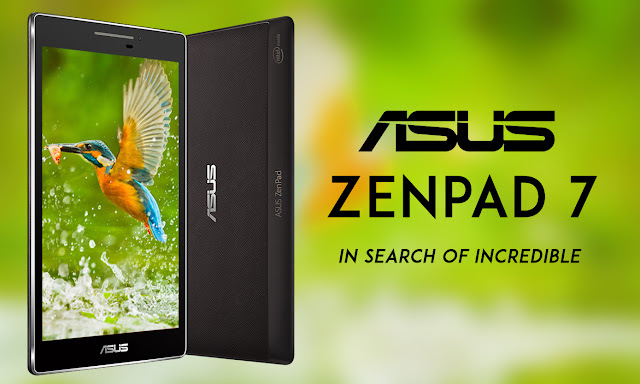 11,999 and the Asus ZenPad 7.0 (Z370C) will also be available with the Audio Cover at Rs. 14,999. The Asus ZenPad 7.0 makes sense only with the Audio Cover.